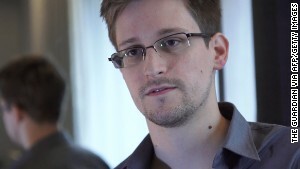 Did NSA snooping stop ‘dozens’ of terrorist attacks? 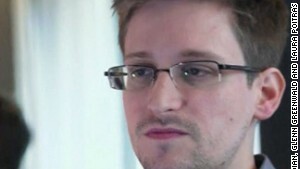 Former intelligence worker Edward Snowden, 29, revealed himself as the source of documents outlining a massive effort by the NSA to track cell phone calls and monitor the e-mail and Internet traffic of virtually all Americans. He says he just wanted the public to know what the government was doing. 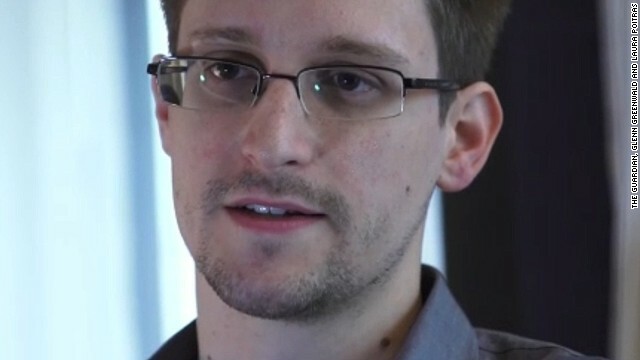 “Even if you’re not doing anything wrong, you’re being watched and recorded,” he said. While he has not been charged, the FBI is conducting an investigation into the leaks. 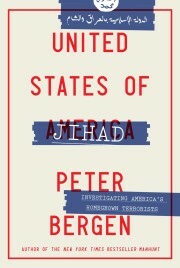 Editor’s note: Peter Bergen is CNN’s national security analyst and a director at the New America Foundation. David Sterman is a graduate student at Georgetown University’s National Security Studies Program. On Thursday, Sens. Ron Wyden and Mark Udall, Democrats who both serve on the Senate Select Committee on Intelligence and have access to the nation’s most sensitive secrets, released a statement contradicting this assertion. “Gen. Alexander’s testimony yesterday suggested that the NSA’s bulk phone records collection program helped thwart ‘dozens’ of terrorist attacks, but all of the plots that he mentioned appear to have been identified using other collection methods,” the two senators said. Indeed, a survey of court documents and media accounts of all the jihadist terrorist plots in the United States since 9/11 by the New America Foundation shows that traditional law enforcement methods have overwhelmingly played the most significant role in foiling terrorist attacks. This suggests that the NSA surveillance programs are wide-ranging fishing expeditions with little to show for them. Alexander promised during his congressional testimony that during this coming week more information would be forthcoming about how the NSA surveillance programs have prevented many attacks. The public record, which is quite rich when it comes to jihadist terrorism cases, suggests that the NSA surveillance yielded little of major value to prevent numerous attacks in the United States, but government officials may be able to point to a number of attacks that were averted overseas. 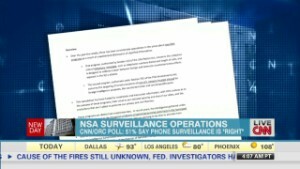 That may not do much to dampen down the political firestorm that has gathered around the NSA surveillance programs. After all, these have been justified because they have supposedly helped to keep Americans safe at home. Is the NSA leaker a spy? Homegrown jihadist extremists have mounted 42 plots to conduct attacks within the United States since 2001. Of those plots, nine involved an actual terrorist act that was not prevented by any type of government action, such as the failed attempt by Faisal Shahzad to blow up a car bomb in Times Square on May 1, 2010. Of the remaining 33 plots, the public record shows that at least 29 were uncovered by traditional law enforcement methods, such as the use of informants, reliance on community tips about suspicious activity and other standard policing practices. Informants have played a critical role in preventing more than half of the plots by homegrown jihadist extremists since the 9/11 attacks, according to New America Foundation data. For instance, a group of Muslims from the Balkans living in southern New Jersey who were virulently opposed to the Iraq War told a government informant in 2007 they were plotting to kill soldiers stationed at the nearby Fort Dix army base. Other investigations have relied on tips to law enforcement. Saudi student Khalid Aldawsari’s plot to attack a variety of targets in Texas in 2011, including President George W. Bush’s home in Dallas, was foiled when a company reported his attempt to buy chemicals suitable for making explosives. Standard police work has also stopped plots. Kevin Lamar James, a convert to Islam, formed a group dedicated to holy war while he was jailed in California’s Folsom Prison during the late 1990s. James’ crew planned to attack a U.S. military recruiting station in Los Angeles on the fourth anniversary of 9/11 as well as a synagogue a month later. Members of James’ group financed their activities by sticking up gas stations, and their plans only came to light during the course of a routine investigation of a gas station robbery by local police in Torrance, California, who found documents that laid out the group’s plans for mayhem. 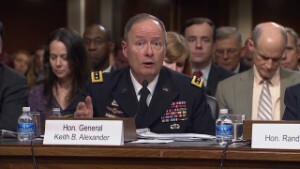 In defending the role of NSA surveillance in his congressional testimony, Alexander pointed to two plots averted by his agency’s programs; the plan by Denver resident Najibullah Zazi to bomb the New York subway system in 2009 and a plot the same year by Chicago resident David Coleman Headley to attack the offices of a Danish newspaper that had printed cartoons of the Prophet Mohammed that many Muslims deemed offensive. In the Zazi case, testimony in a Brooklyn court shows that around the eighth anniversary of 9/11, U.S. officials found an e-mail address in Pakistan, believed to be connected to al Qaeda, that was in communication with njbzaz@yahoo.com, an e-mail address in the Denver area. Officials found that Zazi was e-mailing from njbzaz@yahoo.com to get clarification from his handlers in Pakistan about how to mix ingredients for the bombs he was building in his Denver apartment. Zazi was arrested before he could carry out his plan to attack the New York subways. This plot could well have been detected by the NSA’s PRISM program, which collects the e-mails and other records of computer users outside the United States from nine U.S. technology companies, including Yahoo. But the detection of the plot does not appear to have anything to do with the government’s collection of the phone records of tens of millions of Americans. In the case of Headley, the government hasn’t clarified its claim that NSA surveillance led to his detection, but Sebastian Rotella of ProPublica, who has done the most authoritative reporting on the Headley case, says that Headley came to the attention of U.S. officials because he was in contact with al Qaeda operatives in the United Kingdom who were under surveillance by the British. In other words, Headley was not detected by NSA surveillance but because of a tip from a close ally. Moreover, conventional law enforcement methods were available to detect Headley’s ties to terrorism, but they were ignored. Headley’s wife warned the FBI of his involvement with the Pakistani-based militant group Lashkar-e-Taiba years before his plot to attack the Danish newspaper.